When it comes to how we should deal with evil doers, the Bible, in the book of Romans, is very clear: God has endowed rulers full power to use whatever means necessary — including war — to stop evil. In the case of North Korea, God has given Trump authority to take out Kim Jong-Un. 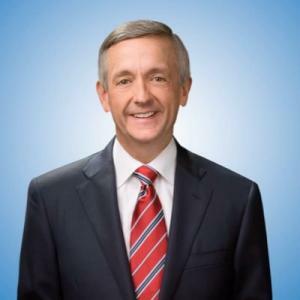 Biblically and politically, Jeffress is just wrong to insert himself as a spokesperson for God into the situation. He should turn in his Baptist card. Second, the Romans passage doesn’t apply in this situation. Although rulers come and go in accord with God’s providence, the rulers do so within God’s timing and the political structure of their state. Paul does not establish a mechanism for a ruler to discern God’s plan. What Should Happen with North Korea? The correct policy might or might not include a preemptive strike. That is a decision for those who are more knowledgeable than me. However, I can say with certainty that Trump and his advisors should not be waiting around for a prophet to speak for God.